Call our commercial contractors today! 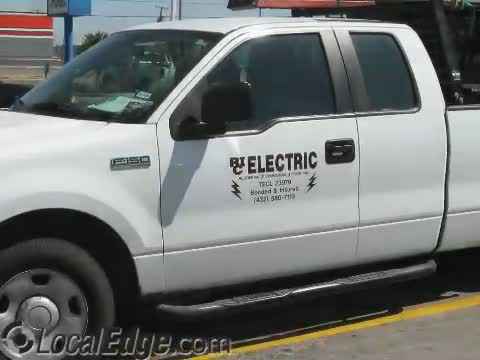 RCI Electric is one of the premier electric contractors serving Odessa, TX and Midland, TX. Ronny Pittman is insured & bonded with master license 123288. RCI Electric means quality work. Consistency is a very important aspect of working with RCI Electric. You can expect a good job every time. 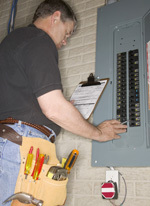 We are full-service electric contractors for residential, commercial and industrial customers. Call us today to speak to our electric contractors and get started with your project! Your electrical system performs miracles for you every day. Typically, you flip that switch or plug into an outlet and take for granted that your power system will work properly...until it fails one day. That's when you need the expertise of RCI Electric. There are many electrical service companies you could call. The reason we are different is our commitment to providing better service, which results in a better value for you. Whether you have simple connection needs or complex power system requirements, RCI Electric, may be several ways to address your situation - and will find the best one for you at the best value. We offer a wide-range of electrical contracting services. We provide residential & commercial electrical services. 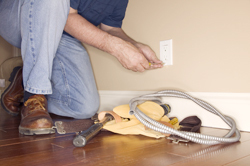 Our electricians are fully trained and certified. Our goal is simple: provide high-quality products, workmanship and ensure our customer's complete safety. We are one of the top residential contractors in Odessa & Midland, TX! Residential contractors typically work on everything from trouble-shooting service calls and replacing a fuse box to accommodate new kitchen appliances, to remodeling projects that require electrical upgrades such as new interior lighting or installing control systems for a pool and spa. Our residential contractors also do pre-wiring for new home construction and have expertise with low voltage systems involving voice, data, and video wiring systems, such as those for telephones, computers, as well as fire alarm and security systems. Rely on our residential contractors today for your next project! 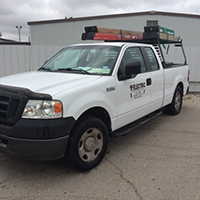 Commercial Contractors Serving The Midland & Odessa, TX Areas! RCI Electric is one of the top commercial contractors in the area, performing preventive maintenance, including periodic inspection of equipment and facilities to locate and correct problems before a breakdown or injury occurs. Having a contracted electrician can safeguard your company's productivity, reputation and safety record. In the event that a breakdown does occur, our commercial contractors are on call to make the necessary repairs as quickly as possible in order to minimize any inconvenience. Building Wiring and Switches come in a variety of types and sizes. The importance of choosing the appropriate wiring or device cannot be overstated. Wiring that is not sized appropriately can be detrimental to the appliance it operates. In today's high technological environments, undersized wiring can lead to intolerable voltage fluctuations that can harm or impede the equipment or its application. Similarly, switches many operate motors, equipment, computers, lighting, processes, and a multitude of other applications. When a switch is not installed in the exact appropriate manner for its design, electrical codes, and the installation application, the switch itself can affect the life of the equipment attached and even create a hazard. 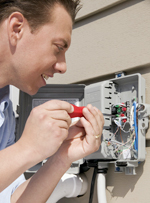 Whether your connection needs are simple or complex, we will find the best solution to provide added installation for your company's needs. If you are looking for an electric contractor for commercial or residential work in Odessa, TX or Midland, TX, call the expert team to RCI Electric. Electric Contractor, Electrician. Residential Electrician, Commercial Electrician, Industrial Electrician, Midland / Odessa Electrician, Permian Basin Electrician, Remodeling, Rewiring, New Construction.